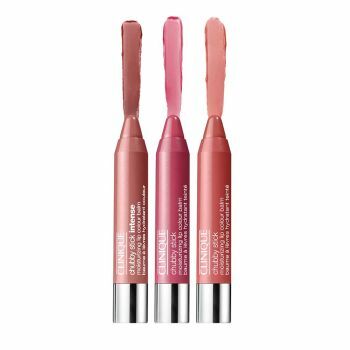 Chubby Stick is just what dry, delicate lips need to feel comfortably soft and smooth. Loaded with do-gooders like mango and shea butters, it’s the perfect mid-flight pick-me-up for lips. Here, two sheer shades of Chubby Stick Moisturizing Lip Colour Balm in Super Strawberry and Mega Melon. For more coverage, there’s Chubby Stick Intense Moisturizing Lip Colour Balm in Curviest Caramel. Allergy Tested. 100% Fragrance Free.